Big, square and sparkly! 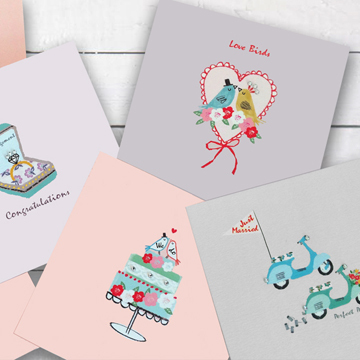 ‘Heart to Heart’ is a charming and rather cute collection of Wedding, Engagement and Anniversary cards. Hand embellished with small twinkly gems give each individual card a sophisticated twist.